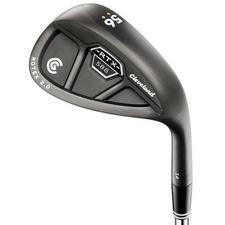 Cleveland Golf 588 RTX 2.0 CB Black Satin Wedge Steel Shaft - $129.99 - GolfersEdgeOnline.com - Best Golf Equipment On The Web! The 588 RTX 2.0 CB wedge has a slightly larger head shape for added confidence and the cavity design provides increased forgiveness on off-center strikes. Like the Blade version, this CB wedge is offered with 3 distinct grind options which allows players to maximize performance from any type of turf condition. If you have any more questions about the Cleveland Golf 588 RTX 2.0 CB Black Satin Wedge Steel Shaft; do not see the model you are looking for; need custom options; or prefer to not purchase online, then please call us at (630) 656-1291.